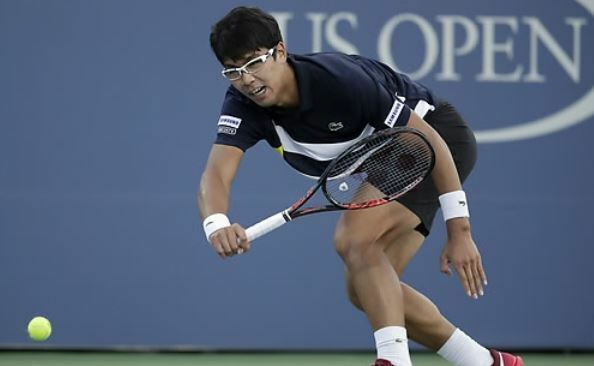 South Korean tennis player Chung Hyeon has achieved a career high in the men's world rankings for the third time in a month. Chung moved up three spots to reach No. 44 in the Association of Tennis Professionals world rankings released Monday. Four weeks ago, Chung cracked the top 50 for the first time by sitting No. 49. Chung is the third-highest-ranked Asian player in men's singles. He is behind Japanese players Kei Nishikori (No. 14) and Yuichi Sugita (No. 42). Retired player Lee Hyung-taik owns the record for the highest-ranking position by a South Korean player at No. 36, attained in August 2007.